TALLAHASSEE, FL – Magi Linscott, a Santa Rosa County high school student and Students Working Against Tobacco (SWAT) youth advocate, was named the National Youth Advocate of the Year by the Campaign for Tobacco-Free Kids. This is the highest award among the country’s top youth advocates working against tobacco. 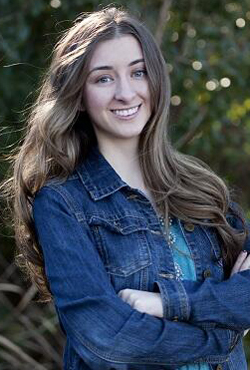 Chandler Ash from Gilchrist County was named the Southern Region Youth Advocate of the Year. Both Florida teens were honored in Washington, D.C., on May 15 along with three other U.S. regional winners and a group winner. More than 400 public health, political, civic and business leaders attended the 18th annual gala to recognize these young leaders. The Youth Advocates of the Year Awards honor outstanding young people who are among today's most effective leaders in tobacco control. These youth have fought hard to protect their generation from the dangers of tobacco by promoting tobacco prevention legislation, exposing tobacco marketing to kids, and keeping their peers from using tobacco. The smoking rate for high school students in Florida decreased to 8.6 percent in 2013, one of the lowest high school smoking rates ever recorded by any state and far below the national average of 23.3 percent. Since Tobacco Free Florida launched in 2007, the state’s high school smoking rate has decreased by 40.7 percent. Magi, 17, a senior at Pace High School who was born in Hawaii to a military family, has been working with SWAT since her freshman year after her grandmother died because of tobacco use. After the loss of her grandmother, she decided to take a stand against the tobacco industry and educate others about the harmful effects of tobacco use. Magi successfully worked to pass a countywide K-12 Comprehensive Tobacco Policy that bans tobacco use on school grounds and at school-sanctioned events off campus. She has also advocated for Florida counties to pass resolutions supporting a ban on candy-flavored tobacco. 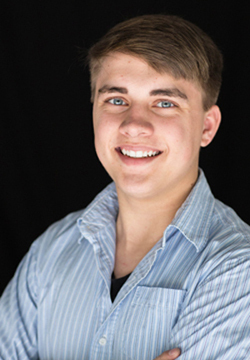 Chandler, 17, a homeschooled senior, has been involved with SWAT since middle school and has dedicated much of his advocacy work around the issue of candy-flavored tobacco. As a result of Chandler's work, the Gilchrist County Commission passed an ordinance requiring all candy-flavored tobacco to be placed behind the counter, out of the sight and reach of kids. The Commission also passed a resolution recommending that tobacco retailers refrain from selling candy-flavored tobacco products, including electronic cigarettes. As part of their award, the winners will receive educational scholarships and grants to continue their prevention efforts. They will also serve as ambassadors for the Campaign for Tobacco-Free Kids. The Campaign for Tobacco-Free Kids is a leading force in the fight to reduce tobacco use and its deadly toll in the United States and around the world. They work to save lives by advocating for public policies that prevent kids from smoking, help smokers quit and protect everyone from secondhand smoke. Click here to see video profiles of all of the Youth Advocates of the Year.